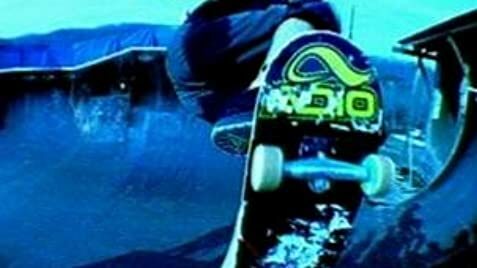 How many episodes of Viva la Bam have you seen? Jared 'Evil' Hasselhoff: Don't worry. We can fix this. My dad's a tv repairman. He's got the ultimate set of tools. 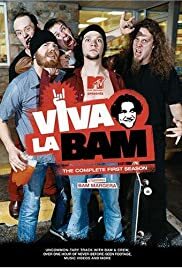 "Viva la bam" is a portrait of today's USA decadence. The show displays lack of values, disrespect and arrogance, in other words, a vivid portrait of youth in the USA. It is a lame statement, nothing anyone can be proud of, both of making as of seeing. The cast and crew lack of any values. Parents unable to display any shame on the upbringing of their son, friends permissive and decadent as the main "character", a portrait of social and moral decay is displayed, in all, this show is not worth seeing. This is a 100% USA product, tasteless and without value, designed entirely to produce money by exploiting and promoting the "indifferent" culture of youth in USA.